EFA artist Danh Vo (born in 1975 in Saigon, currently lives and works between Berlin and New York) the recent winner of the prestigious Hugo Boss Prize, is the protagonist of the second show Chung Ga Opla curated by Alessandro Rabottini around the “Accademy” topic in the lavish spaces of Villa Medici in Rome. The exhibition will run until 10 February. 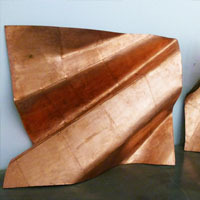 EFA Project Space artist Danh Vo is the winner of the 2012 Hugo Boss Art Prize, an award of the Guggenheim Foundation. EFA Project Space artist, Danh Vo, has an upcoming exhibition at the contemporary art museum, the Renaissance Society. His exhibition, named Uterus, will be up from September 23rd to December 16th, 2012. Vo will have previously exhibited work, as well as new, on display.